Self-driving vehicle developers can now apply for a share of up to £25m to develop, demonstrate and trial technologies for connected and autonomous vehicles in real-world settings. 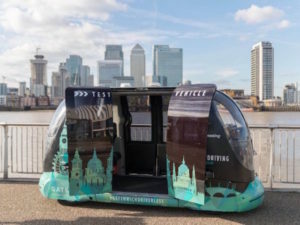 Run by Innovate UK and the Centre for Connected and Autonomous Vehicles (CCAV), the funding could lead to the launch of self-driving services by 2020. Funding is for pilots of self-driving passenger vehicles, which include at least a six-month trial in a public or semi-controlled setting. In total, CCAV is investing £150m, match-funded by industry over five years, into self-driving technologies, with trials already underway in Bristol, Coventry, Greenwich and Milton Keynes.